A few weeks ago, K-Palette launched their 1 Day Magic line and I was so bummed out that I missed out on what looked to be an awesome launch of equally awesome products. Still, I was very lucky to receive 4 items from the line. (Thank you so much, Cheryl & Beautybox Corp.!) 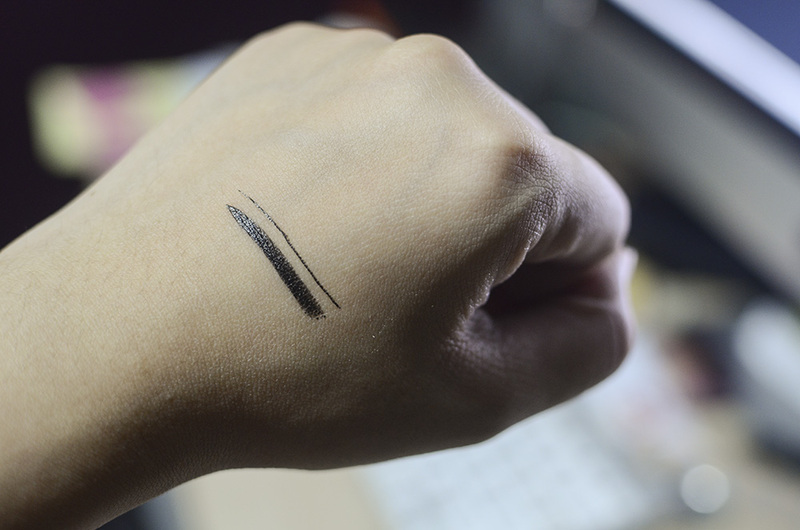 K-Palette makes my favorite liquid liner, unmatched by all of the ones I’ve tried after it, and in the realm of liner formulas, liquid is still my favorite. Recently, they released a new range called 1 Day Magic, and all the products I will talk about today is part of it. They won’t replace the previous permanent products, don’t worry! 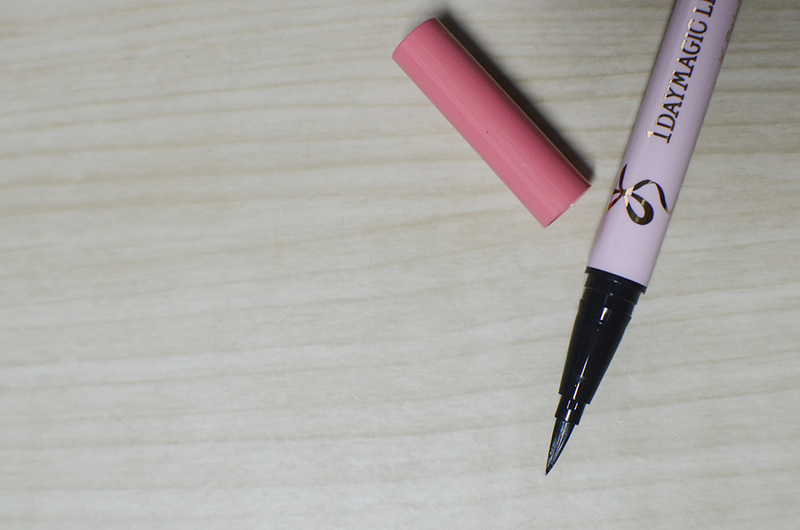 Dubbed a Beginner’s Eyeliner, this boasts of “outstanding ease of drawing” due to a flat brush tip that’s thicker than normal. 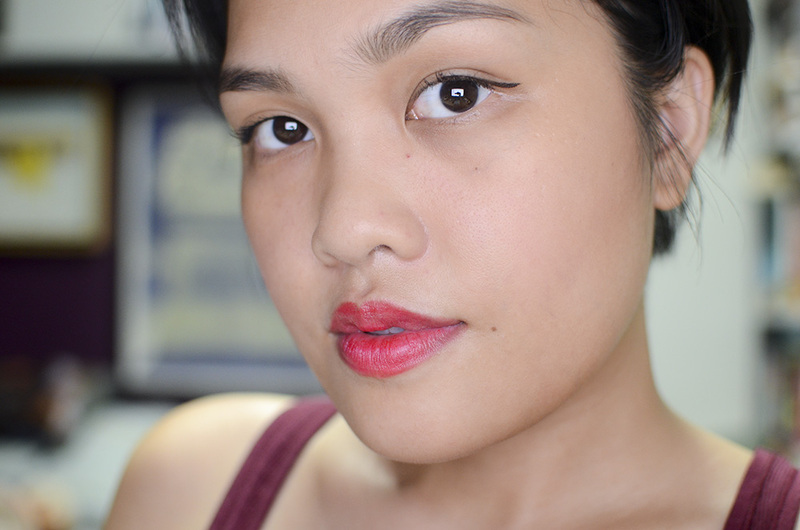 I already found the regular liquid liner quite easy to work with, but I can see how this is more beginner-friendly. The brush still tapers at the end, it’s just flat instead of round, kind of like how a brush is flat because of a pinched ferrule. This lets you draw on a line 3x thicker than the regular brush. Laid on the side, however, you can still get a pretty thin line. This liner has waterproof resistant film that repels water, sweat, and sebum, but it can easily be removed with soap and water instead of all the fiddly makeup removers. It also contains a few “beauty essences” to take care of your lids: hyaluronic acid, water soluble collagen, and gentian extract. 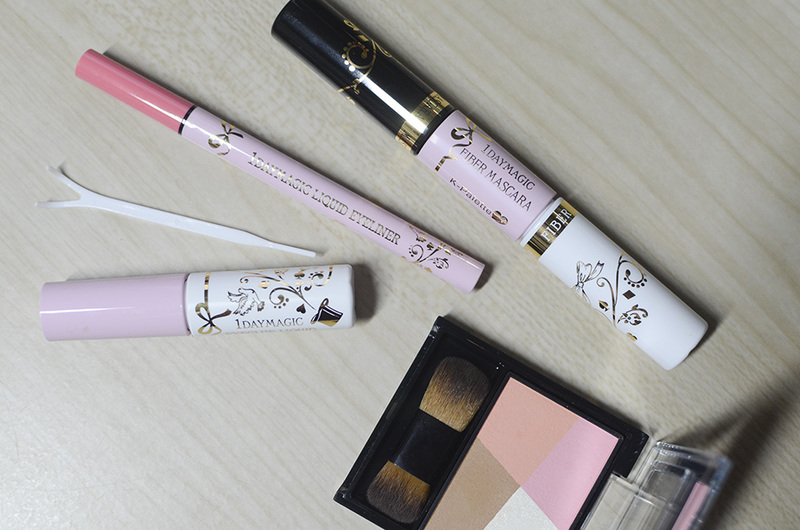 With an added layer of fiber with this mascara system, your lashes are expected to increase in volume. 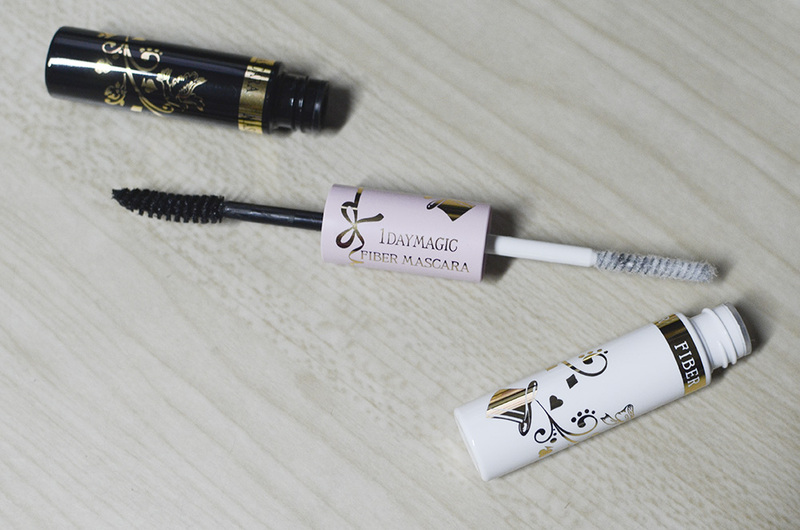 It also contains curl polymer to help hold your lashes’ curled (my biggest lash problem~), and stays smudge-proof all day. Like the liner, this mascara is infused with beauty essences like Candelila Wax Extract, Argan Oil, and Swertia Japonica Extract. I actually really like this mascara. It actually makes me look like I’m wearing some. Normally, all mascara does is add very, very subtle definition (Maybelline’s The HyperCurl was the only one that held my curl, miss you bb) but this one—due to the fibers, I’m sure—held the curl up and added a teeny bit of length. It’s nothing extreme for me, but it may actually fare better for someone with better lashes! This is made to create the illusion of a slimmer face, due to a blush tandem, a bronzer, and a highlighter, all of which are flattering and natural shades. This is supposed to be long-wearing, despite being softly pigmented. The shimmer in the highlighter is made from pearls, and the palette is also infused with beauty essences like hyaluronic acid, water soluble collagen, and shea butter. 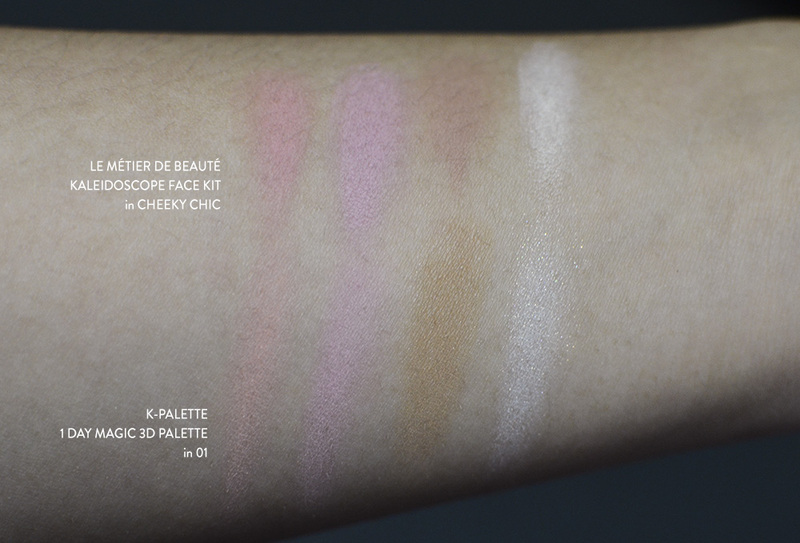 The shades, save for the bronzer, actually reminds me a lot of the Le Métier de Beauté Face Kaleidoscope in Cheeky Chic. 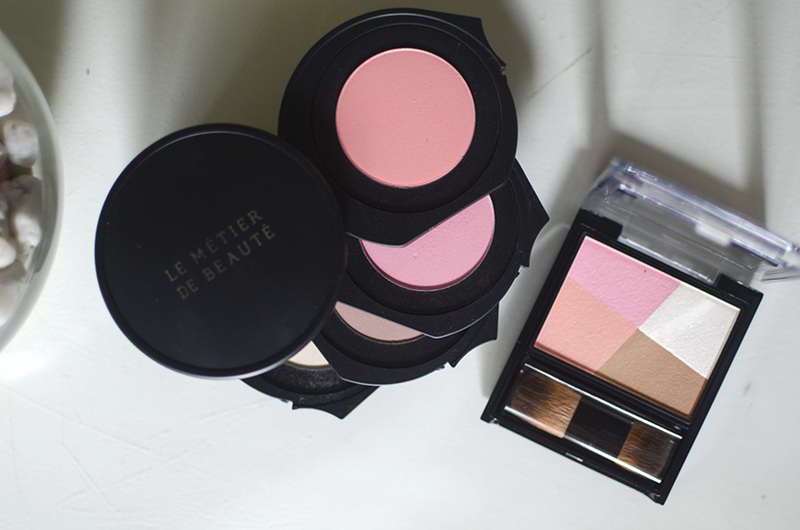 There’s a peachy shade, a pinky shade, a fairly neutral midtone matte bronzer, and a pearly highlighter. They’re not exactly the same (K-Palette’s is actually a bit more buttery), but it’s close. This is exactly what it says it is. I don’t have monolids, so I can’t properly demonstrate how this adhesive is supposed to let you have double eyelids, but I have tried it as a lash glue, and it works amazingly well for that. It is waterproof, fast-drying, and—again—infused with beauty essences such as hyaluronic acid, water soluble collagen and Chinese peony root extract. I can’t really demonstrate how the eyelid glue works as a double lid solution, but I’ve used it to put on false eyelashes here… just for kicks. Obviously, I am not great at it. Speaking of falsies… I still am on the fence about them! I love the idea of how they’ll make my lashes look longer, but the thought of gluing little hairs on my lashes just seems so high maintenance to me. Do you wear falsies? Give me the sitch—worth the trouble or not so much? I’ve probably worn falsies just twice in my entire life. I’ve only worn fake lashes once – for a halloween costume. I’d love to try them again (something a little more subtle though, the ones I got for the costume were the bushiest I could find in the drugstore, hah), but I agree: WAY too much work for a day to day thing… but then again, I’m still quite crap at it. My mom said she used to wear them daily for a few years though…. yikes! This brand looks lovely. I’d love to try the liner (I’ve not tried that many, but I haven’t adored the ones I’ve tried), but somehow I highly doupt I’d be able to find that here. Haha I’ve seen eyelid glue like that! My bestie has double lids, but she often wakes up with uneven lids, so she has some kind of sticker/glue thing to help even her lids out. I think I’ve tried a couple of times out of sheer curiosity, but it didn’t work for me! I like the mascara, too! Even without the fibers 🙂 The dryness doesn’t weigh down the lashes and it lengthens and volumizes quite well 🙂 So happy with that discovery!! 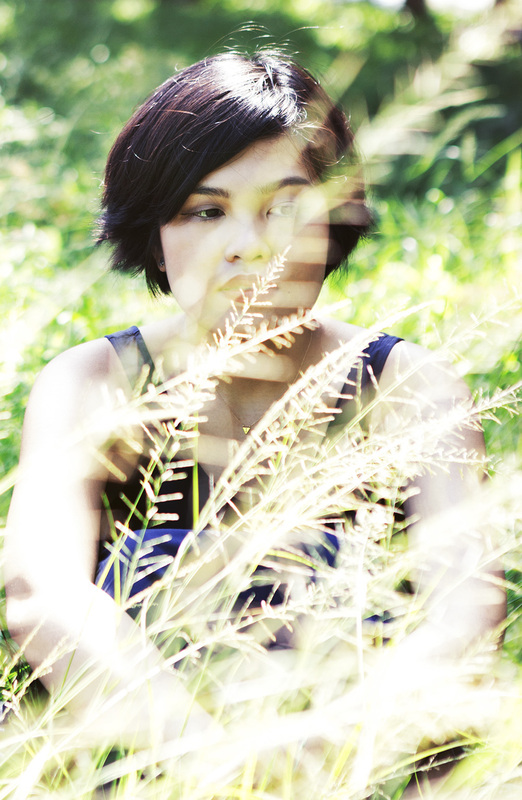 Pee-ezz: Kainez yung skin mo, kinis lang. Yay thanks so much 😀 I’m sure it’s much harder to apply on other people! To me, wearing falsies is way less fuss and less time consuming than putting on mascara properly! They also help my double eyelids stay in place for some reason. Good luck with your bnt reviews carina! This mascara makes me feel like I have OK lashes without having to go for falsies. 😀 Yay!